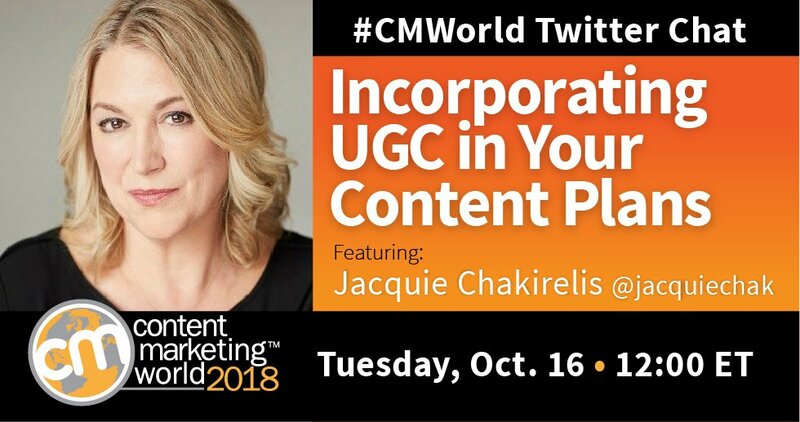 Jacquie Chakirelis joined #CMWorld to talk UGC. 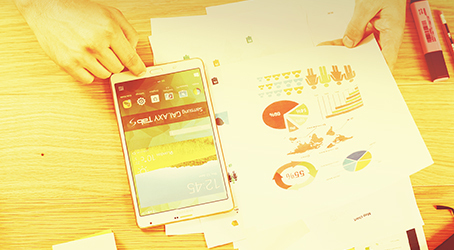 The industries and particular brands that are doing great work and how your brand can benefit. 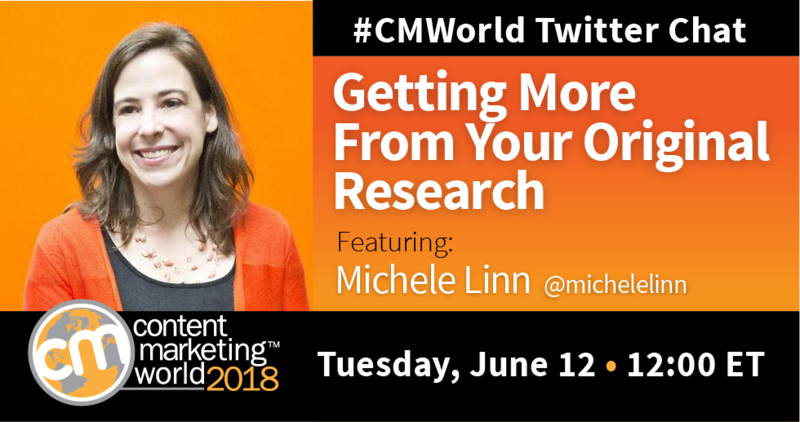 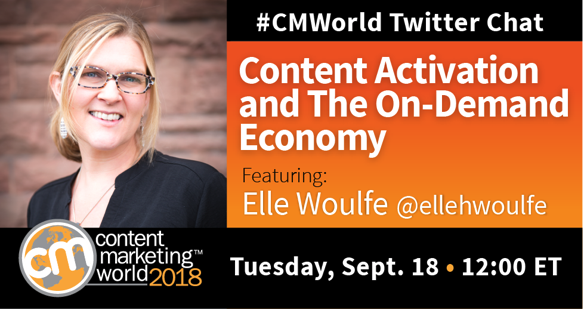 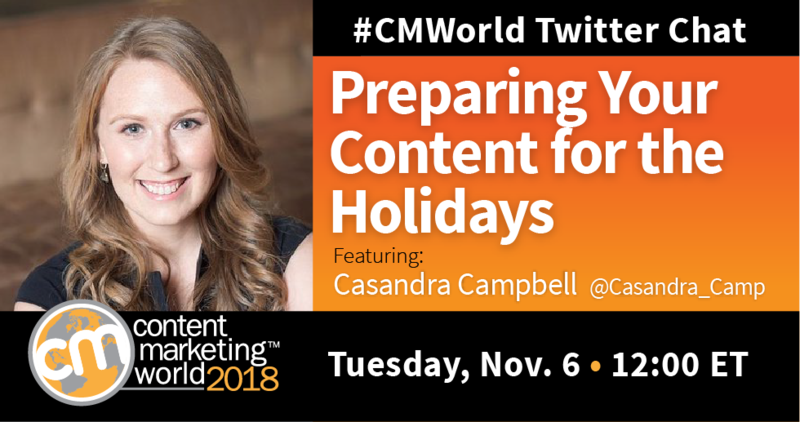 Elle Woulfe joined #CMWorld Chat discussing how emerging technologies affect content and the audiences’ rising on-demand, instant action experience needs. 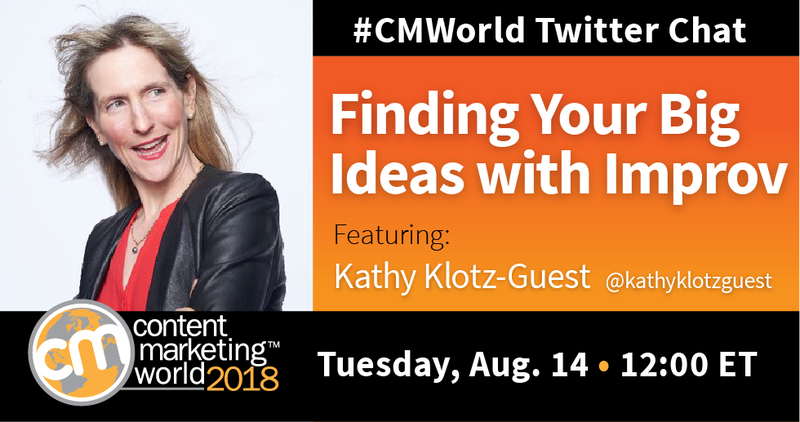 Kathy Klotz-Guest, improv comedian and author of “Stop Boring Me!”, shares how organizations can apply improv to solve content marketing challenges. 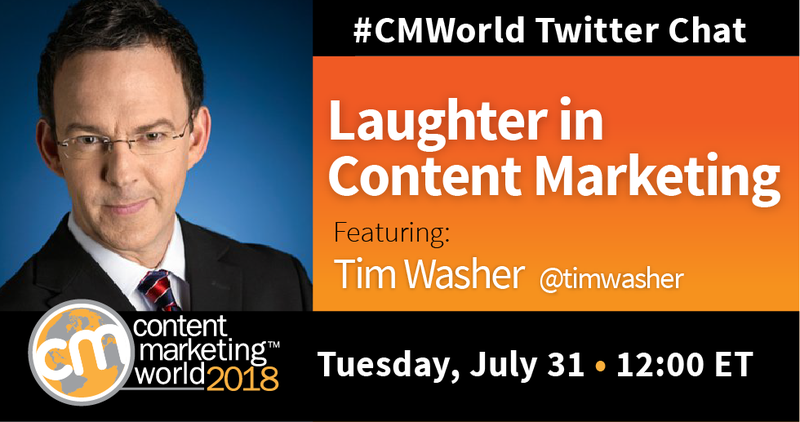 Comedy writer, Tim Washer, joined our #CMWorld Twitter Chat to discuss how laughter can not only boost engagement, but also spur analytical thinking. 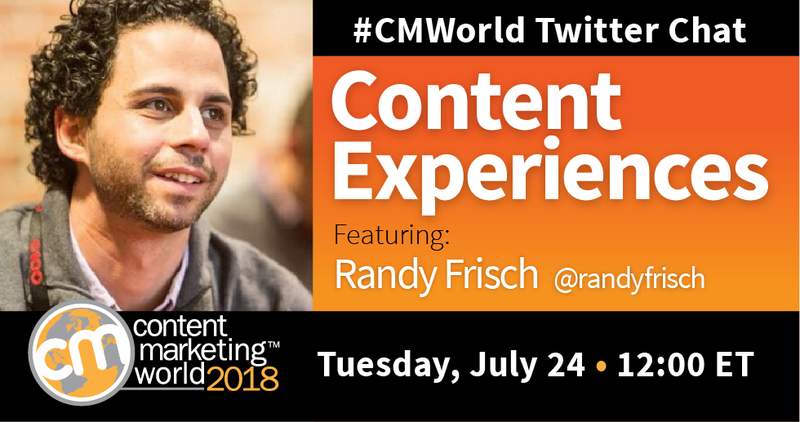 Randy Frisch discussed content experiences, where your content lives, how your customers consume that content, and how it’s structured. 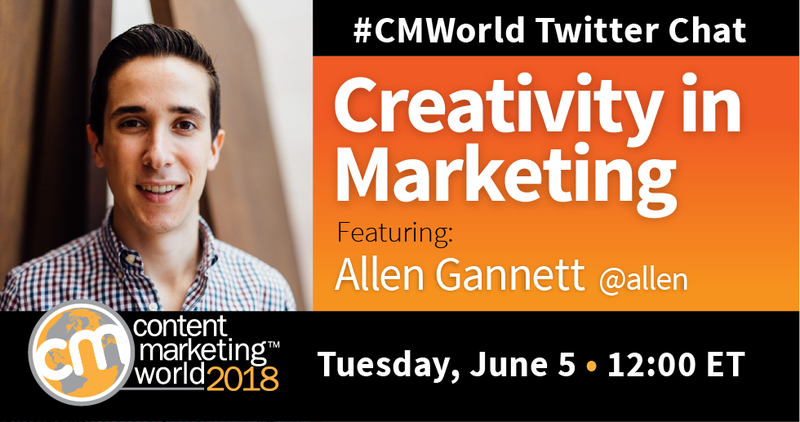 During a recent #CMWorld Twitter chat, Allen shares insights into creativity, including research supporting the idea of “natural-born talent” as a myth. 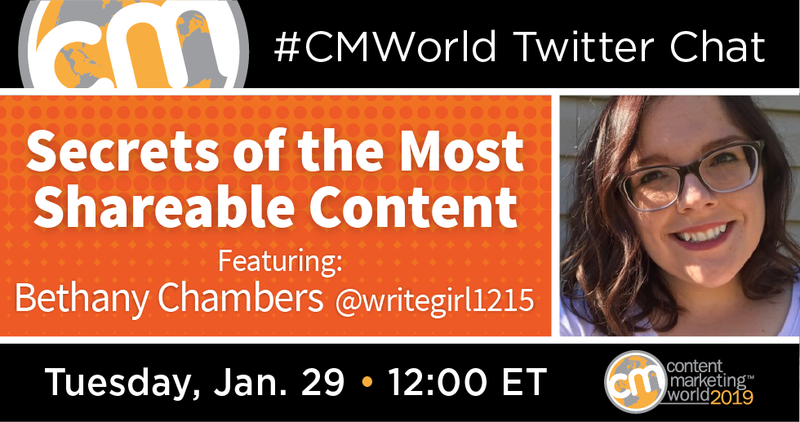 The #CMWorld community weighed in on small businesses and the content marketing challenges they face in competing with larger enterprises.